James DeGale claimed the European super-middleweight title with a majority points verdict over Poland's Piotr Wilczewski but only after a gruelling battle at the Echo Arena in Liverpool. James DeGale was cut around his eye and face and had to withstand a tremendous barrage in round five before his superior fitness and undoubted bravery saw him nudge a 115-113 (twice) 114-114 verdict. In his first fight since losing to George Groves in May, DeGale was caught with a thunderous right hook in the fifth that wobbled him and led his opponent to come charging forward hoping to finish the fight early. However DeGale - who had shaded the opening rounds, albeit without ever looking too dangerous - regrouped well and held on to avoid touching the canvas. With his senses fully restored, the London southpaw used his superior boxing skills to keep the champion at a distance for the most part, shading the second half of an entertaining bout. ‘I proved a point in there tonight. My last fight made me more determined than ever that nobody is going to do that to me again,’ said DeGale at the final bell. James DeGale became European super-middleweight champion as he secured a majority decision against Piotr Wilczewski in Liverpool. DeGale bounced back from his points defeat by George Groves in May, the first loss of his professional career. "It's about time, I'm back on top. 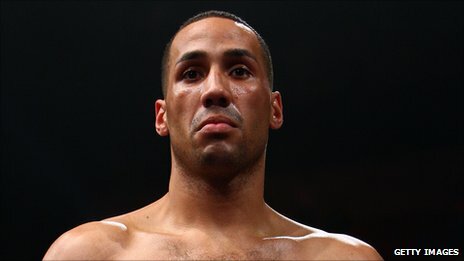 Hopefully some doors will open," said DeGale, who will seek a Groves rematch. "I showed some grit and had to dig deep. His Wilczewski's record speaks for himself. He's a good seasoned pro." The British fighter added: "I got caught in the fourth round and then couldn't hear and my legs went a bit after I lost balance. But I got through it. "I've got a world ranking now - I'm ranked number two in WBO. I've won the British and European titles in 12 fights and the Olympic gold. I want to fight for the world title by the time of the next Olympics." DeGale wants another shot at British and Commonwealth super-middleweight champion Groves, who defends his title against Paul Smith on 5 November at Wembley. "The loss against Groves was a blessing in disguise," said DeGale.